An eCommerce store receives thousands of orders per each day. There are times when these orders will have to be moved from one store to the other due to several reasons. Dealing with these exports manually will be a very time-consuming process. Now, you might need the help of a plugin to help you with all the export. Thus, here is a list of top 6 plugins and their description which you can refer to in order to choose the right plugin for your store. This plugin would be the perfect choice when it comes to importing or exporting orders, coupons, subscriptions data from one online store to another for the purpose of migration or something of the sort. This plugin enables your store to maintain your order history including subscription orders. Using this plugin you can export and download order details as a CSV file on your computer or on FTP server. You can also select the starting order row number, the maximum number of orders, start date, end date, and status as criteria while exporting orders. This plugin supports both CSV and XML formats which helps you to easily move order data between most of the platforms. You can schedule the export of orders, subscription orders, coupons etc, at regular intervals to an FTP location by providing starting time and intervals between export. You can use a saved mapping file during auto export. This plugin helps you to easily export WooCommerce bulk order data in XML format supported by respective Service Providers. Among which Stamps.com, UPS WorldShip, FedEx, Endicia etc are the service providers supported by this plugin out of the box. This plugin provides many options for bulk updates. You can use the “merge products” feature for adding more information to existing orders or updating the existing order details. This helps the store owner to update hundreds or thousands of orders with new info such as order status. Or you can apply custom rules during import ( e.g: change status of the order). An Evaluation field is used to modify/update the value of product fields mapped during the import process. WooCommerce Customer/ Order CSV Export lets you export customer records or individual order. You can also bulk export records on demand, set up automatic export via FTP, HTTP POST or email for orders and customers. One of the attractive features of this plugin is that both order and customer CSV exports are processed on your site’s background thus allowing you to work on other things while the exporting process takes place. This plugin allows batch-processing thus preventing timeouts and letting the export go through thousands of records without interrupting your work on the site. It is even possible to leave the site entirely and work on another site since you will be notified after the export is finished and then you will be able to download the exported file. If you are not content with the built-in export formats you can create custom export format using this plugin. This plugin provides a bulk export tool with which you can export all orders, or export based on order status, product(s) included, product categories included, or date range etc. This plugin enables your store to manually export or transfer one or more orders while viewing your order list via bulk actions and to manually export or transfer customer exports while viewing your “Users” list in WordPress. If you are running a small online store you wouldn’t require export plugins with enormous features as described above. Simply an order export plugin would be all you need. Order Export and More is one such plugin you can install on your WooCommerce store for free. It’s easy to set up and install this plugin in your store. It has a simple user interface which plays an important role in making it popular among customers. If you have this plugin activated in your store you can enable your store to export WooCommerce data in CSV format and export orders from WooCommerce. When there are a thousand orders you will have a hard time finding the exact order you want, and this plugin provides the exact solution with its filtering option. You can download the WooCommerce data with one single click and column sorting can’t be easier with its drag and drop settings. WOOEXIM – WooCommerce export-import premium plugin has got plenty of cool features that would just make your exporting experience easy, quick and flexible. This plugin lets you export data from CSV easily. It allows schedule export of orders and sending of schedule export data to any email you want. Before downloading the export file you can have an export preview window so that you can make your choices. With this plugin, all your exports become saved in the export archive, which you can download at any time. Field management is never an issue with this plugin as you can assign a name for the export file header. A single website subscription of this plugin will cost you a sum of 39$ while 5 website subscription costs 89$. For the unlimited website subscription, you will have to make a payment of 159$. This plugin is an ideal choice for a free plugin which offers an easy way to simply export orders. The most attractive feature of this plugin would be the flexibility it offers in terms of file format support. Advanced Order Export Plugin for WooCommerce supports all file formats including CSV, XLS, XML & JSON. If you are looking for a plugin with extensive features for your store WP All Export is all you need. This plugin allows you to export all data from orders including order totals, customer information, taxes, shipping, discounts, purchase items, etc. An exciting feature offered by this plugin is that you don’t have to be on guard for these exports to take place. This plugin is capable of automatically running export on a schedule and to export only the orders and data you need using comprehensive filtering and configuration option. Using WP All Export you can export order data to either XML or CSV file. The drag and drop interface offered by this plugin allows you to structure your CSV or XML file the way you prefer and to include only the data you need. You can even take a look at the preview to confirm the structure you have created. Using this plugin you can export all data associated with WooCommerce orders. You can export customer information, payment type & status, items purchased, tax rates, shipping type & cost, discounts, fees, coupons even custom data added to orders by other plugins. There are times when you would want to export orders based on some specific criteria, you can make it possible by using the filter option. WP All Export has a powerful filter feature setting up which you will be able to export based on your preferences. 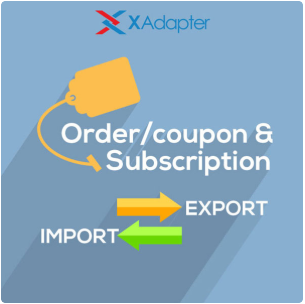 WooCommerce simply orders export is a free order export plugin which allows you great order export functionalities when it comes to a free plugin. Its easy configuration makes it easy to install and set up this plugin in your WooCommerce store. What makes it distinct from other free plugins used for the similar purposes is the simple and user-friendly interface it offers to the users. This plugin offers easy customization options for store owners which gives them overall control over their WooCommerce store. With this plugin, it is possible to export selected orders. You can choose the respective order fields which have to be exported. Besides its lightweight and translation ready code makes this plugin all the more easy to implement on your store. Order exporting requires attention in detail for mistakes can cause loss to the store’s revenue. Thus choosing the right plugin for helping you with the purpose is essential. Hope this article helps you take a step forward in your business.